Like you, I have a resume. During the past thirty years I’ve taught large seminars, spoken to audiences of a thousand people, and judged horse shows in the US and Europe. Our cumulative history is just that, the experience of a lifetime. Learning to apply God’s Word in every circumstance is a never-ending work. The hats on my been-there-done-that shelf include accountant, marketing pro, business consultant, motivational speaker, horse trainer, clinician, author, and spent seven years in ministry. Most of my forty-plus-year business history is entrepreneurial. More than anything else, I am a daughter of the King of Kings. The walk we share with Jesus Christ has seasons. Each with unique challenges, joys, and blessings. Transitioning from being a young adult, looking forward without considering mortality, to middle years and the introduction of limitations and the sense that our story won’t go on forever, and that possibilities have limits, to that “certain age” with wrinkles, scars, and sometimes confusion. Maybe even fear. Sharing our experiences helps pass through seasonal changes with purpose and power, while glorifying the Lord, adding texture, warmth, and joy to our journey. Proving expertise with horses is easy – let me work with one. 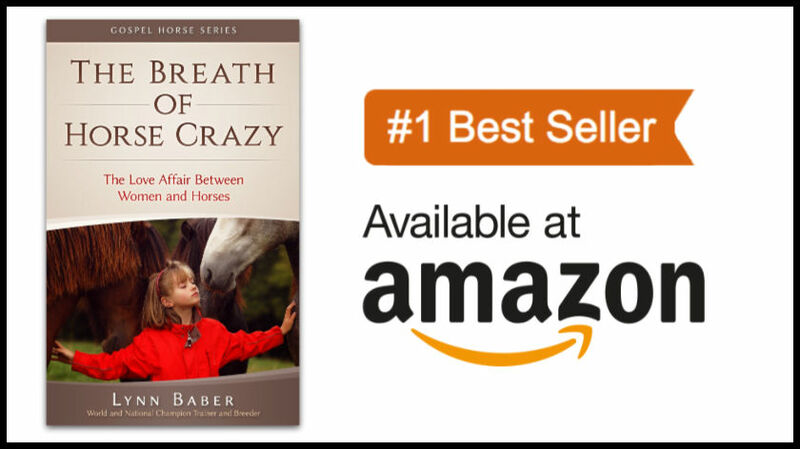 I’m a best-selling author, World and National Champion horse trainer and breeder, former business consultant, and serial entrepreneur. Thirty years ago I was a motivational speaker helping people change their lives. The main difference between then and now, is knowing where the truths I share are found in God’s Word. If there’s anything special about me at all, it’s that I’m profoundly simple. It wasn’t always that way. Some of the more interesting lessons I learned about simplicity came from the stallions I trained over many years. The only way to get a 1500-pound hairy mass of testosterone to offer obedience and loyalty is to earn it. You can’t fool God and you can’t fool a horse. I’ve been a success and a failure. No one has it all and no one has nothing. One thing we all share is being imperfectly human. I’ve written some great stuff, some good stuff, and some other stuff. What I know, I try to share. And I love when you share in return! Warning – I have ridiculous expressions.